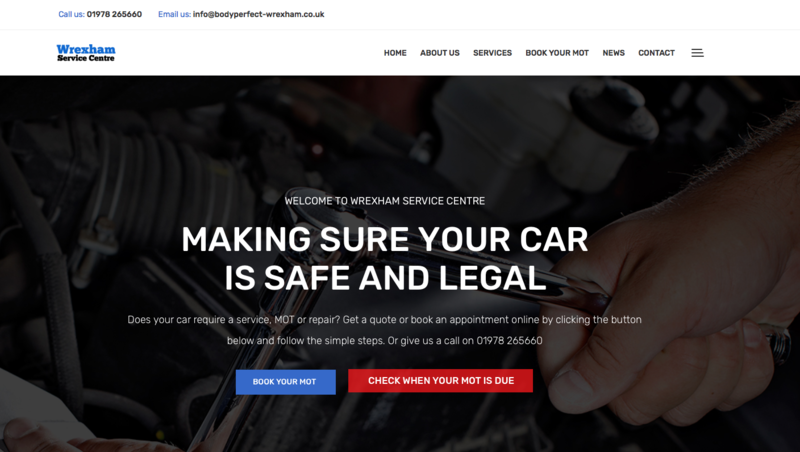 Wrexham Service Centre launches a new website. Wrexham Service Centre are part of the Body Perfect group, who have worked tirelessly to gain our superb reputation in Wrexham and the surrounding area. They have built a state of the art car service centre which is owned and run by staff who are as local as you are and who’s emphasis is on excellent friendly assistance. Apart from Servicing and MOT testing, they carry out routine maintenance, including tyres, exhausts, brakes, and car batteries. Additional services, including air conditioning and recharging along with mechanical repairs and diagnostics. By choosing Wrexham Service Center, you can be confident you are engaging with a company who aim to provide 100% customer satisfaction.